Nothing says “I love you” more than the gift of digital books. Or at least that’s what I tell my wife when I want a new e-reader. The amazon online retailer are selling this new release after the basic Kindle. It’s the new release of Amazon Kindle Paperwhite. 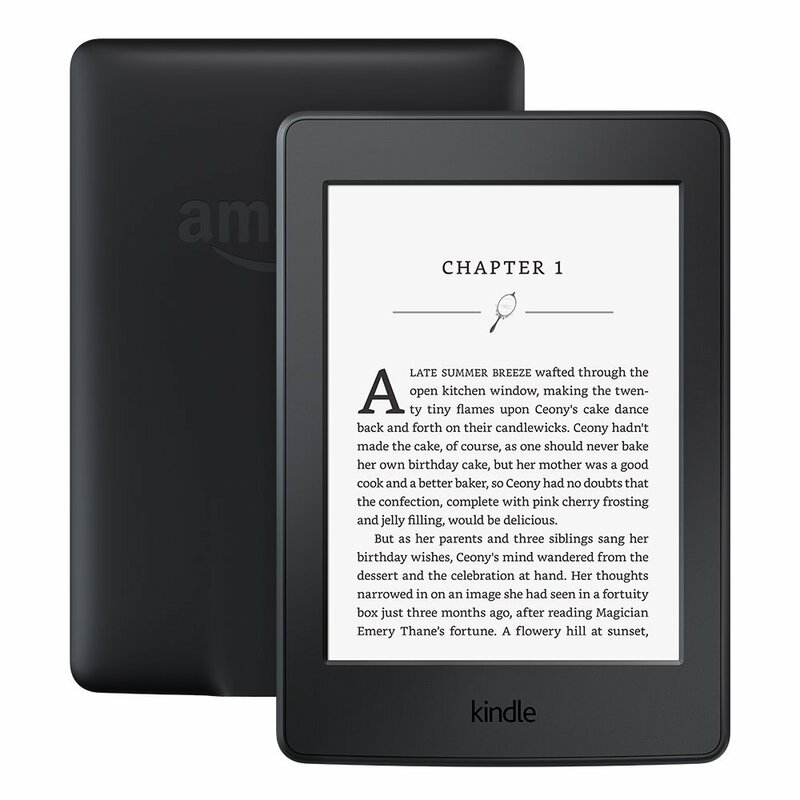 What is the Amazon Kindle Paperwhite? 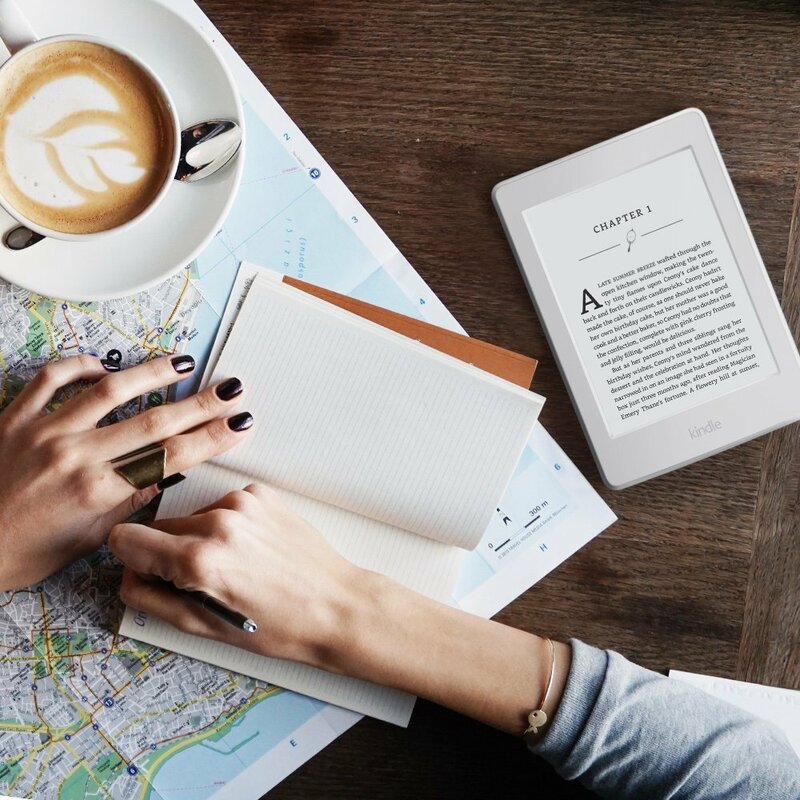 The Amazon Paperwhite e-book reader has had a few iterations over the years, and the Kindle Paperwhite is its best selling e-reader out of the enire line. 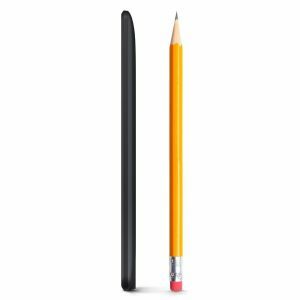 Kindle paperwhite has more features than the basic Kindle such as the 3G+ connectivity a better dimension of 6.7″ x 4.6″ x 0.36″ than the kindle. One of the main advantages of reading with an E-reader than your regular tablet is its anti-glare properties. Although reading while eating is not advisable, E-reader offers you the experience of reading anywhere you go, under the sun or on the dining table. You don’t have to flip through papers as you read and that is just one of the reasons why an E-reader is cool. If you have ever used an E-reader before or have read reviews and are considering buying one, some of the other benefits of using an E-reader are that you don’t need an entire bookshelf to store your books; all you need is to get enough megabytes to stores hundreds of books. Plus, you’ll never have to travel to a library to get books ever again. Your E-reader saves for you the last page you were reading so that you save time wondering where you ended. Just like the benefits of E-readers are enormous, so are the numbers of E-readers available on the market. But there is always one that stands out. Here is an honest review about the Amazon Kindle Paperwhite E-reader. 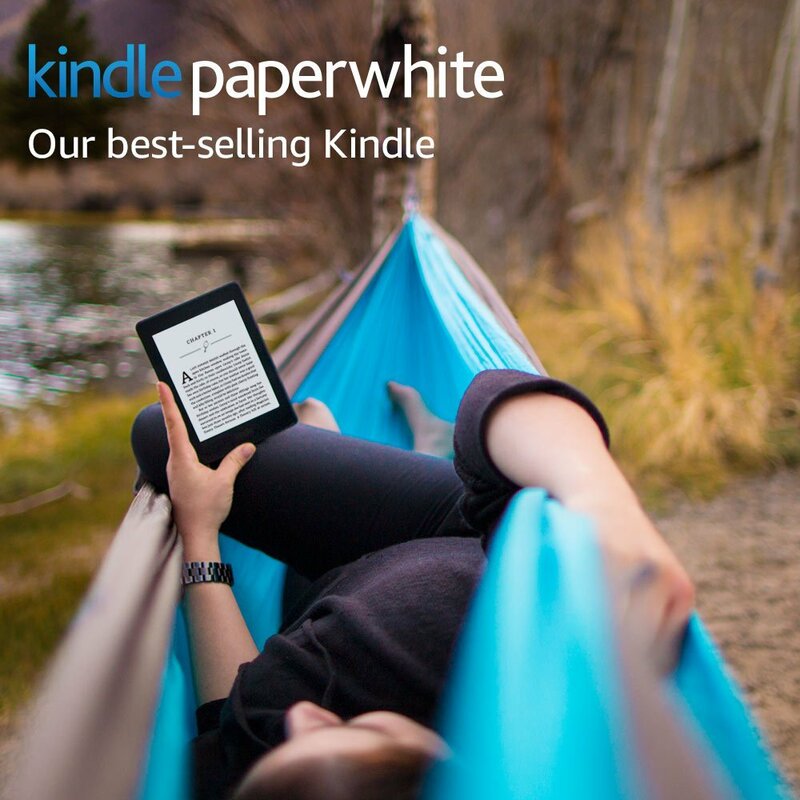 Kindle Paperwhite E-reader is a portable reading device with more than a million titles. This baby is super sleek with adjustable texts in 8 different sizes. It has an excellent resolution of 300 ppi, which gives off better light for the eye than the ordinary E-readers. Here are the other pros of the Kindle Paperwhite E-reader. you can go through a book’s pages using just one hand as you use the other to eat or do other stuff. The reader has inline footnotes that you can tap and be able to read postscripts without having to navigate further into the pages. Similarly, Kindle Paper E-reader has what they call an X-ray. Just like a medical X-ray is capable of reflecting the inner organs or a human, the Kindle Paperwhite E-reader highlights important or notable facts in the book such as images, significant characters, and places plus other subjects of interest. It also has an advanced search that combines results from the Kindle store and the entire E-reader library. This device is as light as a few folds of paper. It weighs 7.2 ounces, and you can hold it in one hand and let the other hand do other stuff freely, or you can throw it in your pocket anytime and rush off to an appointment. Even a 4-year-old can use it. The Kindle is a great reading tool to carry along to camping, at the side of the pool, during class breaks and for any other reading needs. I think the long lasting battery of the Kindle is one of the best things about this E-reader. The battery can last for a month and a half when fully charged a single time. You can get stuck on an island with the Kindle and still be able to read your books as you wait for your rescue. With this E-reader, you can lead out your books and or send directly to your email or another person’s email instantly. If the person you’re sending is also a Kindle app user, they get to read/use the books you’ve shared with them for up to 14 days. On the receivers end, one can receive it as a ready-to-print document preferably in PDF format or other simple files. Even though Kindle’s battery life is one of the longest, it wasn’t like this in the first models; Kindle had a longer lasting battery. The modification was made and instead of extending the battery life to last even much longer, for some reasons, they reduced. How about the effects on the eyes? This E-reader is created with built-in front light and electronic ink which is almost the same as paper ink and is recommended by optometrists. This kind of ink does not tire the eyes. The text is clear and sharp. The most dangerous E-readers are those that have brighter light and depth insights. These can cause computer vision syndrome, a condition common along the regular laptop, E-reader and TV users that cause blurry vision, headache and strains the eyes. 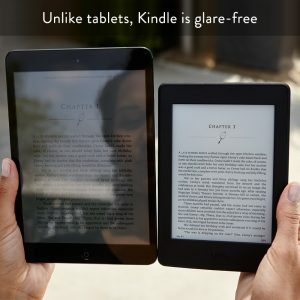 You can glue your eyes to the Kindle Paperwhite E-reader for more than 15 minutes, and you won’t feel any eye strain. Yes, the Kindle Paperwhite still takes the lead for its eyesight protection where you can read even under the bright summer sun and the easy flip page features.